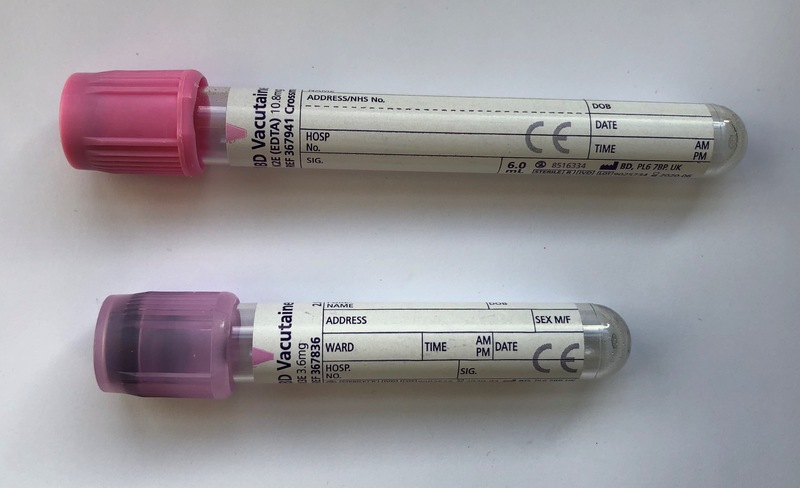 Plasma EDTA or centrifuged serum-gel tube. Must be sent to arrive to us at the laboratory within 24 h from collection. If the sample cannot be sent to us within 24 h from sample collection, centrifuge, aliquot and freeze sample and send specimen frozen. C-peptides are fragments derived from endogenous, but not exogenous, insulin and therefore may be used to assess endogenous insulin secretion even in patients who receive exogenous insulin therapy. C-peptide testing is used in the investigation of unexplained hypoglycaemia and in the management of patients with insulin treated diabetes. A C-peptide concentration greater than 300 pmol/L during a hypoglycaemic episode (concurrant glucose <2.5 mmol/L), is inappropriately high suggesting insulinoma or sulfonylurea ingestion. 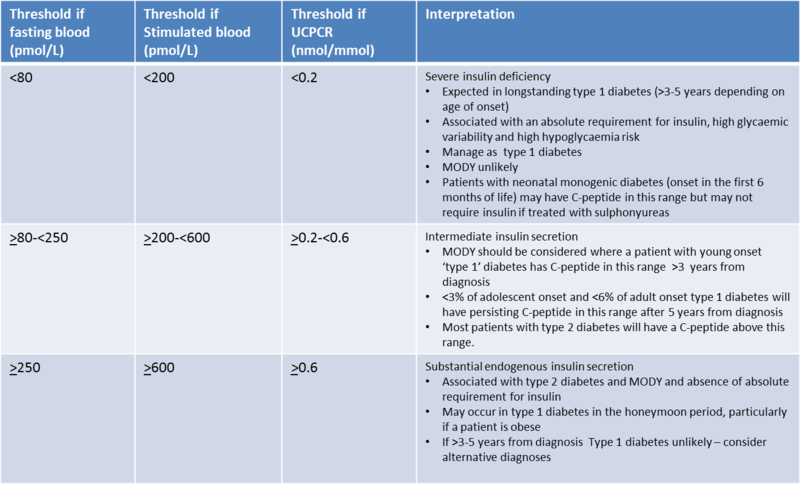 C-peptide is considered appropriately supressed if less than 94 pmol/L during hypoglycaemia. Indeterminate values are 94-300 pmol/L.